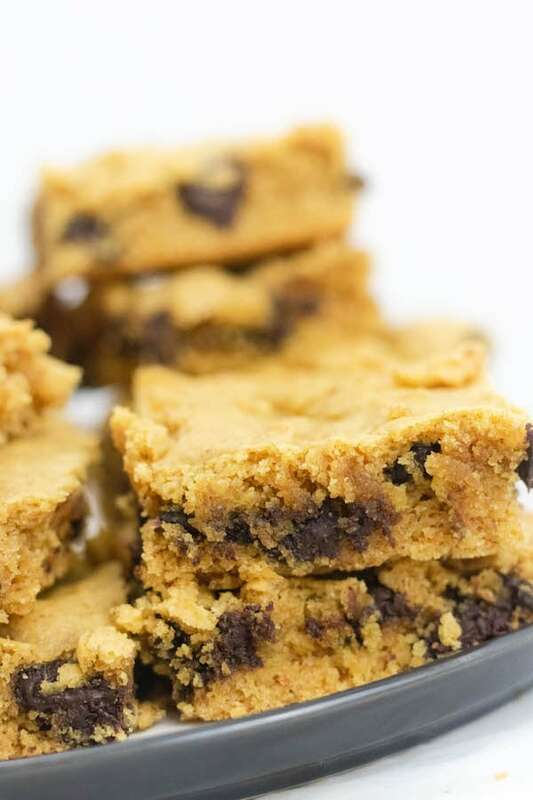 This healthy Peanut Butter Blondie recipe is your ultimate peanut butter and chocolate fix. Made with coconut flour and maple syrup, they are gluten free and low in sugar. Here is a poll for you, blondies or brownies? I’m curious, at what point is it not a brownie and becomes a blondie? Is it just because of color? I love a good ol’ classic fudgy brownie, but sometimes a girl wants some peanut butter AND chocolate. Ya feel me? 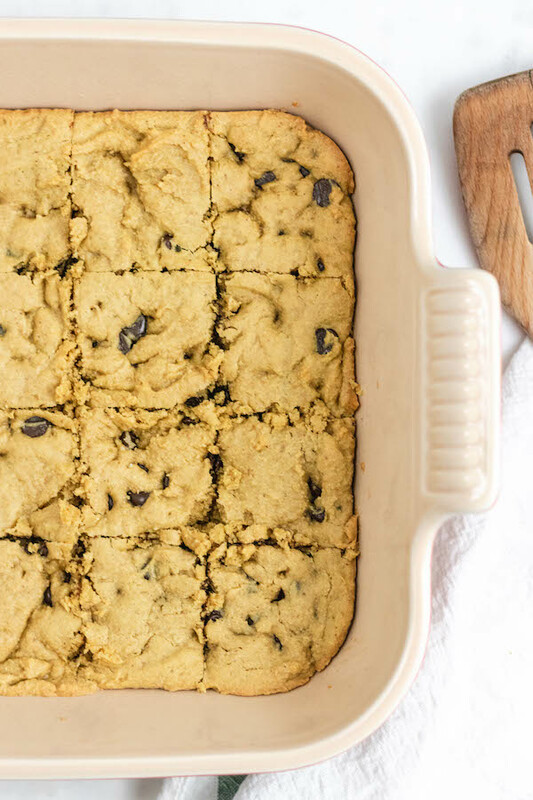 Enter, Healthy Peanut Butter Blondies. I can’t stop eating them. Mainly because I’ve tested this recipe out 5+ times to make sure it’s right. That’s the thing about desserts. They are so fun to take pictures of, but creating them is a whole other story. It’s much more precise and mathematical than cooking, which can be tedious. 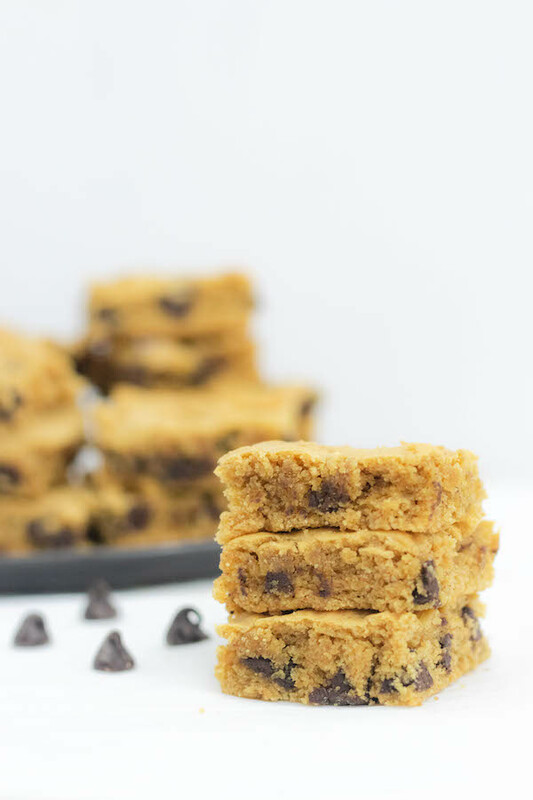 I hope you guys enjoy these Healthy Peanut Butter Blondies, because I’ve poured my heart and soul into them to make them the right consistency while keeping them fairly healthy. Some crazy people might argue with me and tell me, “They have chocolate in them! 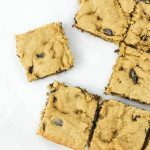 They can’t be healthy!” Well let’s take a step back here and figure for a 1/3 cup of chocolate chips in this recipe, per serving you MIGHT be getting 5 chocolate chips… maybe 6! Gasp! The internet is full of opinions. Compared to the average blondie box on the grocery shelf you are saving yourself half the sugar and carbohydrates. Coconut flour: Has a lower glycemic index meaning that it won’t raise your blood sugar as fast as a processed flour or wheat/grain flour. Also it has more fiber and protein per ounce than a grain flour! Maple Syrup: You could also use honey or agave nectar if you don’t have maple syrup. I like to buy this from Costco for a fraction of the price. 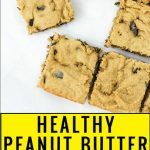 Creamy Peanut Butter: I have not tried making these with crunchy peanut butter, but let me know if you try! 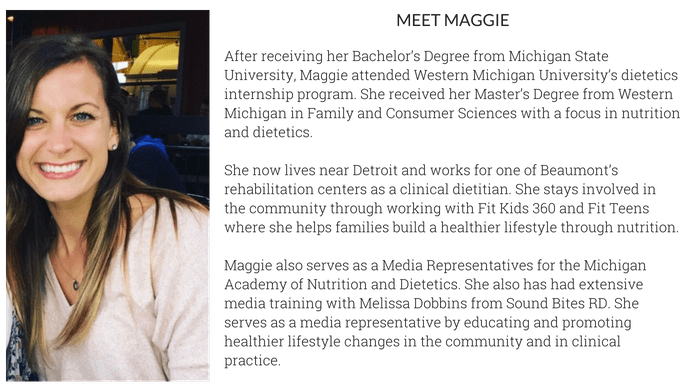 I use all natural peanut butter that has just peanuts or sometimes ones with peanuts and salt. Chocolate Chips: I used semi-sweet chocolate chips, but feel free to get creative. I feel like butterscotch would be amazing in these too. 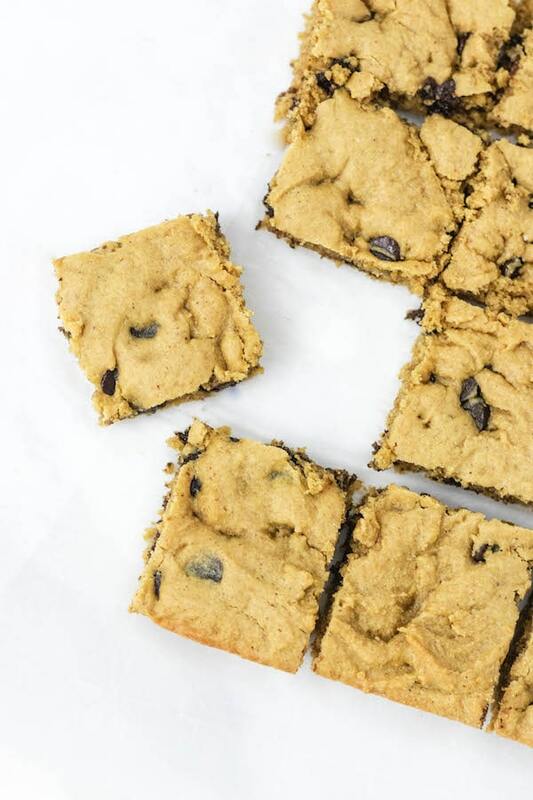 Nutrition aside, these peanut butter blondies are super-duper soft, smell amazing, and melt in your mouth. It makes 16, so that’s about a week’s worth (LOL – but really though). Preheat oven to 350F and lightly spray a 8×8 brownie pan with cooking spray. In a large bowl, mix peanut butter, eggs, maple syrup and vanilla. In a small bowl combine coconut flour, baking soda, baking powder and salt. Pour into 8×8 pan and bake at 350F for 18-20 minutes or until the edges start to turn a golden brown. I used a natural peanut butter that is creamy. I have not tried using a more processed peanut butter. No coconut flour? Sub 3/4 cup almond flour. Vegan: Swap out eggs for 2 flax eggs and dairy free chocolate chips. Store in airtight container for up to 10 days. These are everything you hope they would be! My husband is gluten free and as soon as he saw these, I knew they were a MUST! They’re now a weekly breakfast/go-to when we’re craving something sweet. Love that they’re healthy too! What a delicious snack, breakfast, or sweet treat! My fiancé loves these, I can’t stop making them! Ahmazing! Easy to make and so delicious! I had all these ingredients on hand. Brought to a super bowl party and everyone loved them! Will make again! Thank you Danielle ! They are a great party snack ! These are so delicious and easy to make!! They’re becoming a weekly dessert staple. 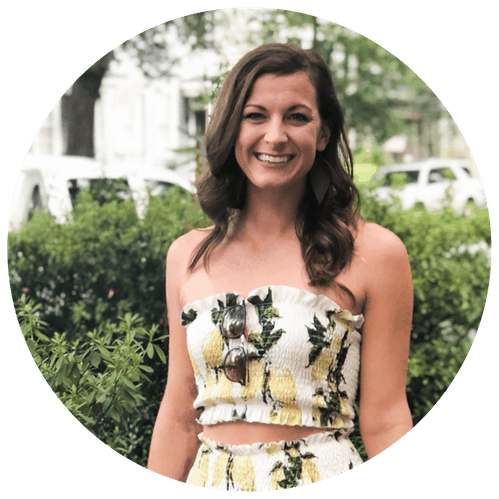 So glad to hear that Megan! They are very addicting !